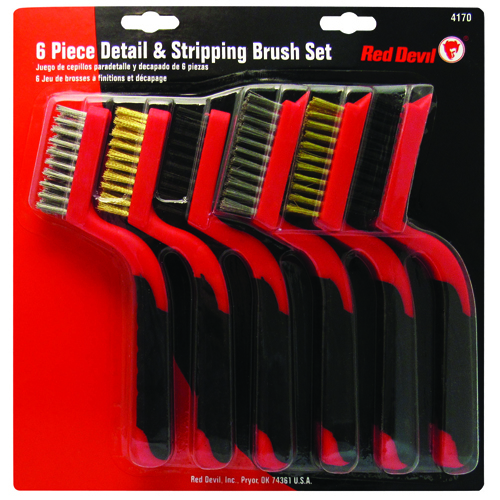 Red Devil's Stripping Brushes are ideal for scraping, stripping, polishing and cleaning. 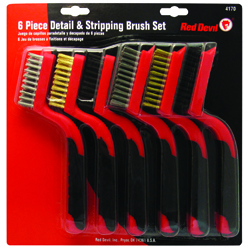 This set includes steel, bronze and nylon ergonomic brushes. Red Devil makes it easy to clean up grime and dirt, strip paint off any surface, and polish up rusted areas.